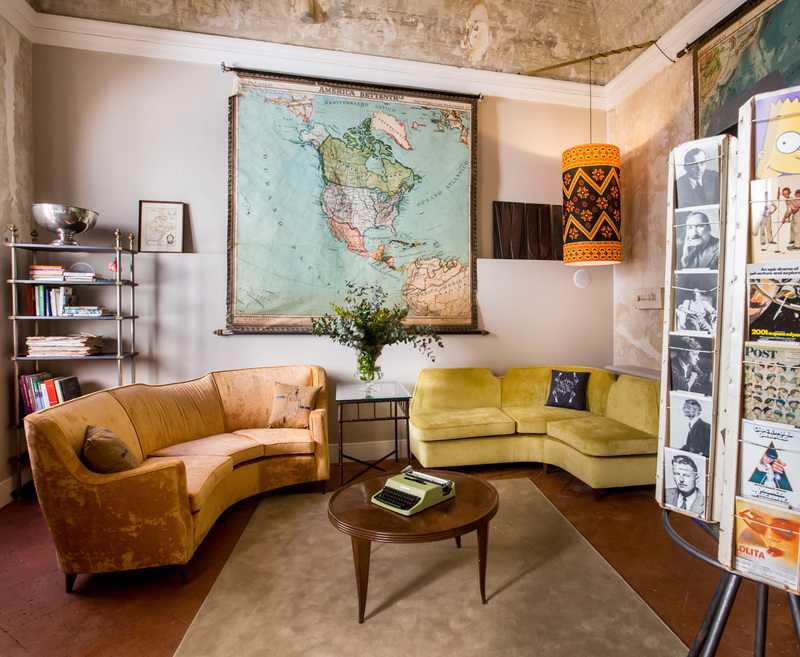 OltrarnoSplendid is a boutique bed and breakfast with 14 individually-designed rooms tucked away in the centre of Florence’s coolest Oltrarno area, just minutes from the Ponte Vecchio and historic centre. The eclectic team that created both SoprArno Suites and AdAstra Florence – Francesco Maestrelli, Matteo & Marco Perduca and Betty Soldi – have once again filled each space with their unique style of diverse furniture, bespoke works of art and visionary perspective. 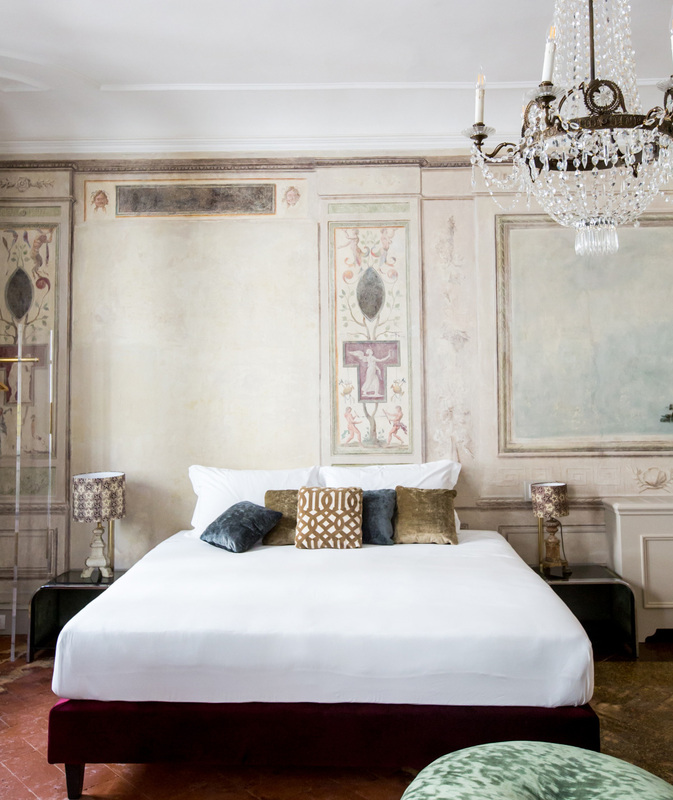 Original frescoes, authentic wall features, in-room bathtubs and curated corners shape an unexpected place to stay from which to discover the abundance of Florence. The OltrarnoSplendid logo embodies the notion of being sheltered under rooftops, as from every window of every room the view looks out onto Florentine skies and roofs of the more authentic, artisanal Oltrarno area. A seldom seen glimpse of the city skyline. Inside, you are immersed in an otherworldly setting that is enveloping – stimulating yet quiet, surprising yet comforting. 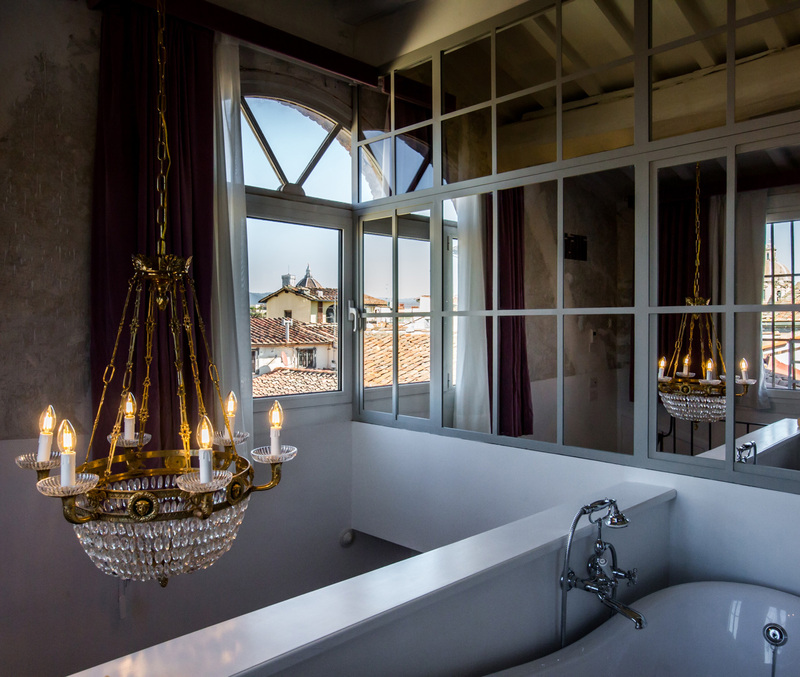 Spread over the two top floors of an 18th century palazzo, the 14 rooms overlook a peaceful internal courtyard or look out onto the historic Via Dei Serragli, just a short walk from the centre. Every room has a different look and feel: faded wall textures have been brought back to life; a 200 year old wraparound Toile de Jouy wallpaper has been preserved and accentuated; softly coloured wall frescoes have been surprisingly discovered and then restored under the scrupulous eye of the Belle Arti. All these original features live side by side with contemporary iconic furniture and eclectic details.